In very faded Network SouthEast livery, 73129 rounds Chicken Curve, near Greet (the chicken farm actually closed several years ago!) 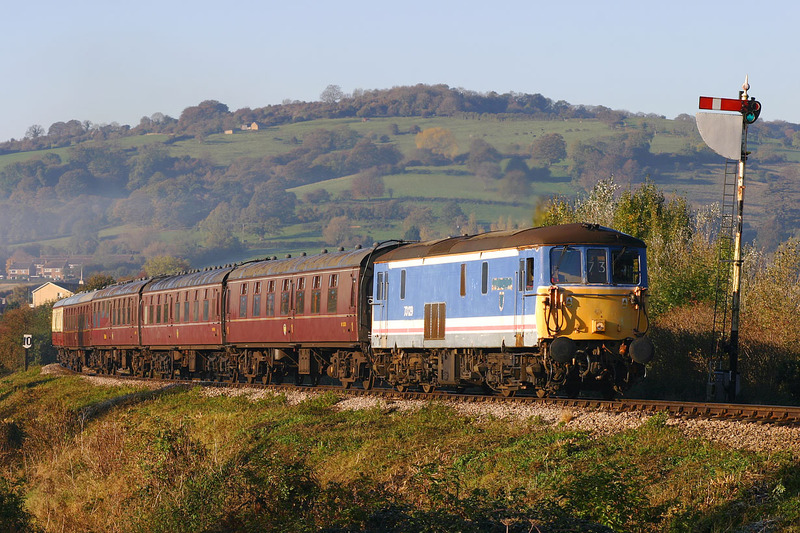 on the Gloucestershire Warwickshire Railway with the 09:00 Winchcombe to Toddington empty coaching stock at the start of the line's Autumn Diesel Gala on 4 November 2006. Langley Hill forms the backdrop, while Winchcombe's home signal looks as if it is starting to slip down the bank!